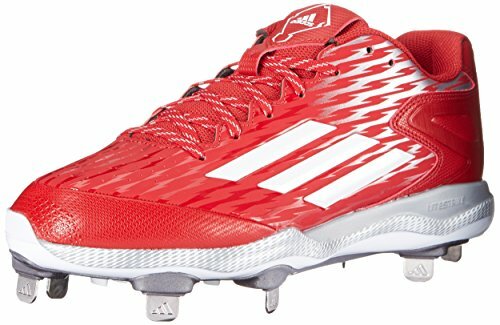 When you are stealing bases, running through the outfield, and trying to slide into home, you need a pair of cleats that will give you superior grip and maximum comfort. Even though baseball shoes must be thin and flexible, with spikes on the bottom, you should not have to sacrifice comfort for the perfect grip. 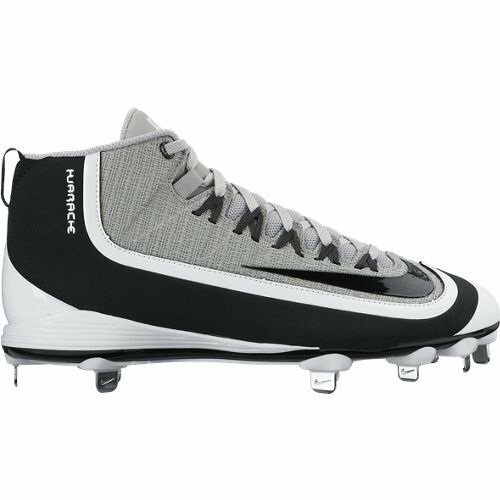 We have researched all the top brands to find you the best baseball cleats for comfort. Below, you’ll find reviews of the most comfortable baseball cleats. They will help stop foot fatigue that will throw you off your game and keep you ready to slide into home plate. 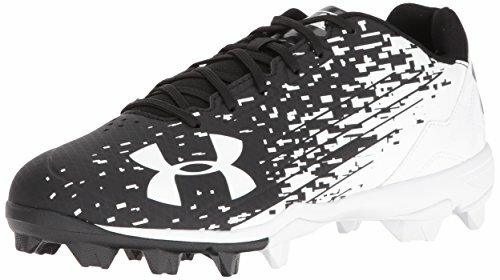 This cleat is not only comfortable, but it also comes in a wide range of color options. With fit from narrow to wide, it can be used by men and women players. They are incredibly durable and will withstand seasons of abuse, even by professional players. The synthetic upper is designed to conform to your foot, while the entire shoe provides the padding and support you need to prevent foot fatigue after a long nine innings. 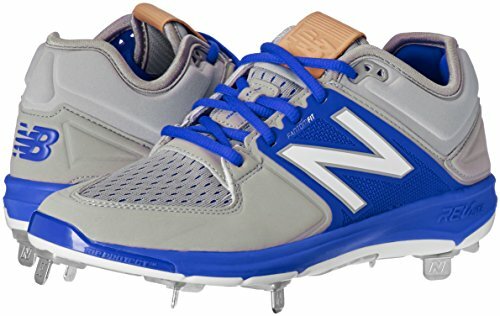 The fit of the New Balance Men’s L3000v3 Metal Baseball Shoe is improved by the Fantom Fit design of the upper, which is designed to remain lightweight and flexible while providing support. Around the ankle area, a comfort collar holds your foot in place and increases ankle support. New Balance’s lightest performance foam, REVLite, can be found underfoot to increase comfort without making the cleat heavy. If it does not offer enough arch support, the insole is removable so you can add custom orthotics. The metal of the outsole is designed to keep the cleat free of debris as you run around the field. They do not get stuck in the ground and it feels as if you are wearing a light tennis shoe. This baseball shoe also has toe protection, which lets you slide around the field without worrying about injuring your toes. Even though this cleat should stretch to fit, it can be a little large compared to your standard shoe size. It also does not have a lot of lateral support, so it is not a good choice for people who under- or over-pronate when they walk. 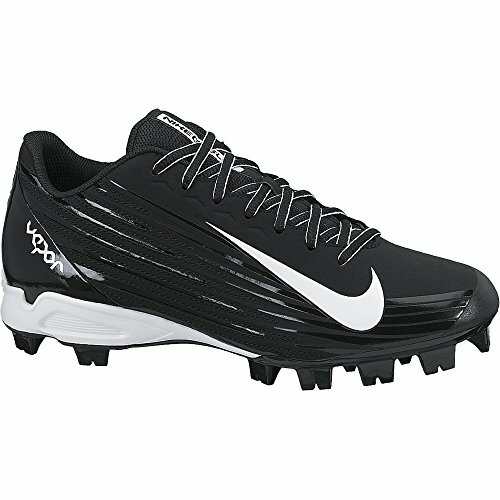 This cleat brings together classic materials like synthetic leather and Nubuck that are known for their durability. They are also flexible and will conform to your fit after a few games. The upper is designed with a low-cut profile but still provides support. It also has mesh in the tongue and collar to increase breathability through the cleat. The Nike Men’s Vapor Strike 2 Low Molded Baseball Cleat delivers on comfort with an EVA sock liner that adds softness and improves fit and a Phylon midsole that absorbs shock. These both provide lightweight cushioning that keeps your foot comfortable without affecting your game. The outsole is made of a molded TPU material that is durable enough to withstand some abuse. A twelve-cleat pattern is used, with the intent of giving the perfect amount of traction without making the baseball shoe heavy or bulky. It also features a low-to-the-ground design, so you feel as comfortable as you would wearing sneakers. This shoe runs slightly small, so you may want to consider that when sizing. They can also run a little narrow, which can be a problem for players with wider feet. The upper of this cleat is constructed with three separate layers that offer incredible support. It features an anatomical design that hugs each of your feet in a unique way and prevents rubbing that could cause blisters. Additionally, the shoe will conform to your foot over time for a superior fit. 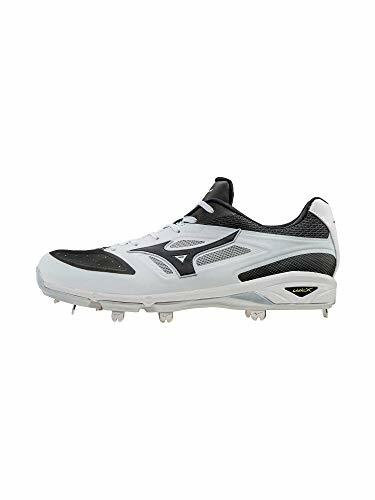 The wrap-around fit and feel inside the Mizuno Men’s Dominant IC Baseball Shoe is part of what makes the cleat feel great on your foot. It has a bootie inside with soft cushioning that makes the shoe fit true-to-size. The midsole is constructed of u4icx, which is a soft, durable, and responsive material. The IC outsole of these cleats is the latest in the Mizuno line. It has the traction that you need in a baseball shoe and also has strategically placed grooves that improve the shoes flexibility in key points, even with the layers of cushioning inside. The way that this shoe is constructed lends to slightly less flexibility than some other options. It is also a bulky shoe. 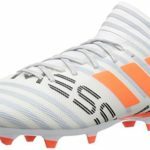 Another problem for some people is that the front of the shoe is rather hard, even though the rest of the cleat is comfortable and soft. This shoe is designed to offer the comfort of the sneaker with the functionality of a baseball shoe. The upper is made of a synthetic leather with breathability holes in the top of the shoe. It adds all-around support and creates a shoe that is incredibly durable. Another feature of this shoe is the step-in design, which makes it easier to slide on and off than the typical baseball cleat. Inside the Under Armour Men’s Leadoff Low RM Baseball Shoe, you will find a full-length EVA midsole. This helps disperse pressure on the outsole from the cleats and increases the amount of cushioning (and comfort) inside the shoe. A heavily padded mesh tongue improves fit and comfort. Underfoot, you will find rubber molded cleats. Whether you choose rubber, plastic, or metal depends on your preference, but you can learn more about your options here. These are durable and able to withstand use on different types of field surfaces. They also increase traction and help you propel yourself in the way you want to move. Overall, this shoe is incredibly lightweight, weighing just 13 ounces. Despite the breathability holes in the top of the shoe and a mesh tongue, there is not enough air flow to keep your foot from getting hot during an intense game. 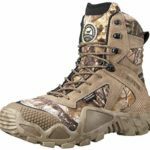 This shoe also does not grip clay dirt as well as it does other field materials, but it will get the job done. This is an ideal choice for people who need a little extra ankle support and value a sleek design. The upper features a mid-top style that rises above the ankle with added GEOFIT ankle pillows to hold your ankles fast without the risk of blisters. It is constructed of nubuck and synthetic leather, increasing durability without making the shoe too heavy. Inside the Adidas Performance Men’s PowerAlley 3 Mid Baseball Shoe is a textile lining for a softer fit. Additionally, OrthoLite sock liners enhance the fit of the shoe and help overcome odors that can happen after long games. Additionally, a LifeStrike EVA midsole adds an extra layer of lightweight cushioning and support. The outsole is made of an alloy metal, designed to remain lightweight and provide superior grip and durability. It features a TRAXION stud configuration that has been tested time and time again for baseball performance. The fit of the shoe helps cradle the foot and reduces the amount of weight put on it, which decreases foot fatigue. The only downside of this shoe is that it may feel a little bit bulkier than some other shoes. However, it is significantly softer and has more padding on the inside, so this is to be expected. 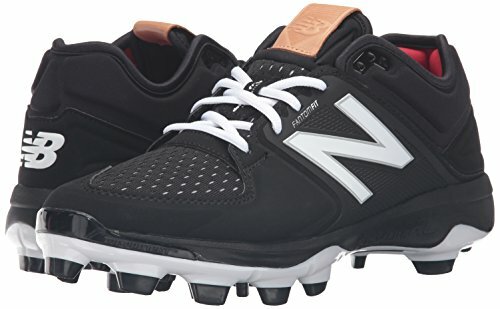 For those who want the comfort and support that comes with the average New Balance cleat but who do not want metal cleats, this is a great alternative to the shoe mentioned above. The upper is made with a blend of textile and synthetic materials, letting it remain durable and flexible while adapting to your foot. The entire front of the upper has breathability holes to keep your foot dry and cool during play. Inside the New Balance Men’s 3000v3 Baseball TPU Cleat is the Fantom fit design that lets the shoe bend with your foot. You will also appreciate the comfort collar that adds ankle support while ensuring your foot remains locked down to the shoe. Additionally, a RevLite midsole offers cushioning and shock absorption, without sacrificing the lightweight build of the shoe. Toe protection ensures you won’t get injured when you are sliding around the bases. The outer is made of TPU materials, with just enough cleat spikes to help you grip without weighing the shoe down. The outsole is also designed to bend with flexibility in key areas. Finally, the debris-free construction keeps the turf on the ground, not weighing down your shoe. 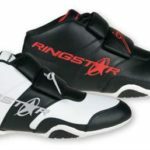 This shoe ticks off most of the boxes for a comfortable baseball shoe, however, it is not as durable as some of the other options. The shoelace grommets might break if you tie your cleats too tightly. Additionally, the traction on the outsole will wear down significantly after a season or two of play. The upper of this shoe is made of TPU mesh and a synthetic leather. This allows for breathability and flexibility, without sacrificing the durability of the shoe. Nike’s unique Flywire cables increase the lockdown and ensure the shoe moves with your foot. Inside the Nike Huarache 2KFilth Men’s Pro Baseball Cleat, a Phylon midsole adds comfort while maintaining the overall lightweight design. This foam is paired with all-around lightweight cushioning inside the shoe. This leads to a snug fit that helps the cleat conform to the unique shape of your foot. The outsole features unique geometric divots, which stop dirt from clumping on the bottom of the shoe. 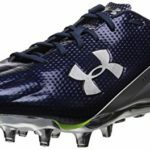 Though the spikes are not metal as they are on many of the other cleats, they are still durable and strong enough to grip any turf. The flexibility of the outsole and upper makes this shoe comfortable right out of the box. These shoes run a little on the small side but will stretch slightly with wear, so it can be challenging to find a shoe that is the perfect fit. They can also be narrow around the ball of the foot, which is problematic for some players depending on the shape of their feet. Whether you have a company league, like to hit the ball field with your friends, or play at the college or professional level, baseball cleats are a necessary part of the uniform. They help grip the earth, even when it is soft or wet. The most comfortable baseball cleats reviewed above will meet these standards and more. Your best bet is to get one that has the fit that you like the most.